Speak And Grow Your Influence™ is the art and science of use speaking to establish your expertise in the marketplace. When done effectively, speaking can increase your visibility, credibility, brand awareness and attract more clients. Discover the power of Speak And Grow Your Influence™. Request your 30-minute No-Fee* strategy session today! Double Your Business Growth with Speaking™ Our popular workshop program. The Profitable Presentation Formula™ Learn our proven techniques. 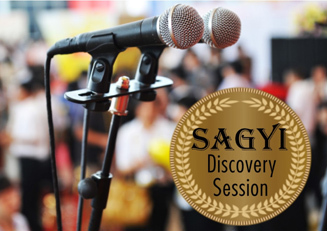 Storytelling For Business Success™ Create your 'Signature' story. The Art Of Selling Is Speaking™ Make more sales with speaking. We help entrepreneurs to use speaking to attract more of their ideal clients, increase their cash-flow and grow their business. To provide you with practical tools and strategies to establish you as the Go-to-Expert in your community. 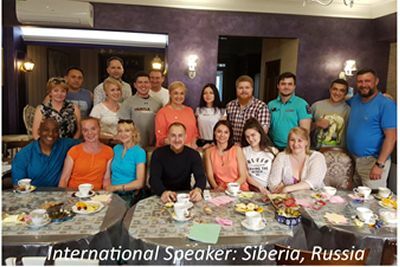 We produced unique workshops and coaching programs to target: speaking, presentation, story telling and selling. 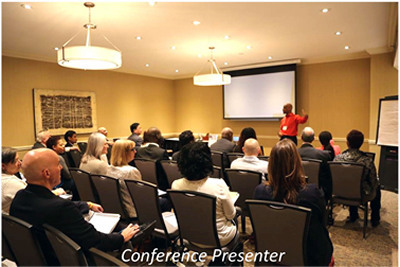 Marlon has been an entrepreneur for over 30 years and is a Certified World Class Speaking™ Coach, Canadian Association of Professional Speakers candidate and an Advanced Toastmasters completing his Distinguished Toastmaster (DTM) accreditation. His mission is to help entrepreneurs like you to take control of your business success. Start achieving your speaking success and get on the path to double your business growth today. It is rare to attend a workshop which is so effective! I have only met Marlon twice and already his sage advice has benefited me and my business. He has illuminated a clear path to better communication and contact with potential clients. I highly recommend this workshop to anyone who wants to reach new clients using strategies that are easily implemented. Jason Nagy Wise Crescent Inc. The workshop was very well done and motivating. I always find it difficult to brand my own business so my company comes last. Throughout Marlon's presentation I had so many ideas not just for presentations but also for my sales and communications. You can't get better than that!! Thanks Marlon. Marlon, thank you for a great presentation today. This info packed session was far more than I expected or could have hoped for, and I am so glad I came out to this workshop. Even with a career behind me of speaking to leaders, top executives or hundreds of employees at a time I still took pages of notes. I would highly recommend Marlon to anyone who wants to improve their confidence in speaking to others, in large or small audiences. Whatever the message, he can help you understand how to structure the communication so it is clear, and accurately shared. Marlon is one of the most insightful and strategic individuals I have the pleasure of working with. He effectively challenged my thinking and calmed my anxiety around public speaking. His knowledge and communication techniques were extremely valuable in my development, which allowed me to connect with my audience. I have been extremely impressed with Marlon and I would recommend his services to anyone. Marlon Shaw is the amazing message architect coach to work with, his listening skills and understanding the challenge are top notch. Most important I felt cared for. 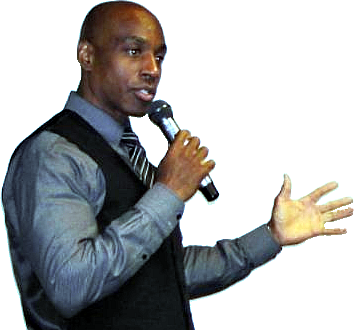 If you or your organization is looking for a pubic speaking coach to instill confidence in your employees to deliver compelling presentations, contact Marlon!. I had the breakthrough in my first session.